Handmade watercolour card. 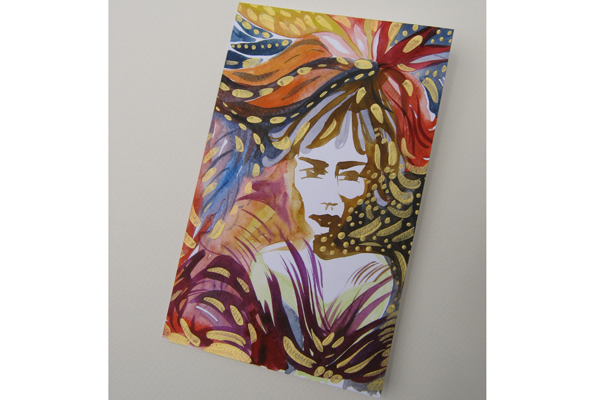 One side painted card done on "thin grain" watercolour paper with a slight touch of acrylic golden paint. Size Folded : 104 mm x 166 mm. Accompanied with a matching envelope in beige tone.